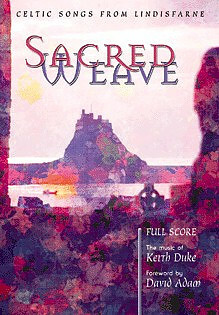 Sacred Weave Full Score Music Book by Keith Duke was published by Kevin Mayhew in September 2003 and is our 22075th best seller. The ISBN for Sacred Weave Full Score Music Book is 9781844170524. A group from my church visited holy island and bought back with them music cassettes; of course, once we?d heard the music we wanted to replicate some of it during church services and so I bought the full score which I have used with the music group. It has been wonderful, some of the tunes are very simple and this is not only extremely effective- but also very easy to learn, requiring little practise! Others are slightly more complex with harmonies and second parts- but well worth the hard work. Got a question? No problem! Just click here to ask us about Sacred Weave Full Score Music Book.